Today , I think to stop to use plastic bags because it is creating pollution on the earth . It is non destructible product which is not absorbed by nature , so it is very dangerous for balance in nature . This is tough for me because I use plastic bags for getting vegetables , fruits from market and also it uses for getting many material for my home . But I am very rational . What , I think , I do practical , it is reality that without firm determination , you can no do any thing . Why am I writing these things in today in my thought blog ? Answer is very simple that I want to write what I do practical . All practical works comes from thinking or thought . If every body starts to use clothes bags instead of plastic bags we can save our place from dust which can be used for agricultural production . Plastic bags cost is added in the cost of your domestic product , if you use cloths bags , you can reduce the cost of domestic product . It will surely reduce inflation of necessary products . Plastic bags stop the flow of water inside of earth , so it is very dangerous for agriculture . 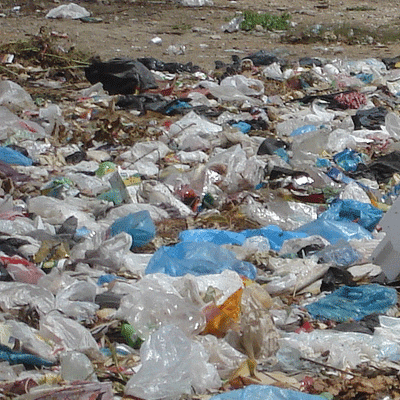 In land where plastic bags are in high quantity , that land becomes sterile or wasted so do not use plastic bags . Plastic bags , some time is eaten by street cows and they die with this , so we are also doing sin work for using plastic bags . Plastic bags are non absorbable waste , so increasing it means increasing the level of waste in your colony. If you do not use plastic bags , you can save and clean you town from this wastage . Plastic bags when made after first used in recycle processes in factories , a large number of chemical included in this and it is very dangerous for human health if you use plastic bags for carrying and bringing vegetables for home . I hope , you will also encourage from my today thought and my determination and you will take also promise to bans on plastic bags .